June 2015: The lips you want. The lines you don’t. Everyone’s ideal lip shape and size is different. The lips and the lines around the mouth, like other areas of the face, lose volume as we age. Lips thin, loose their shape and sometimes vertical lines appear above the lip. 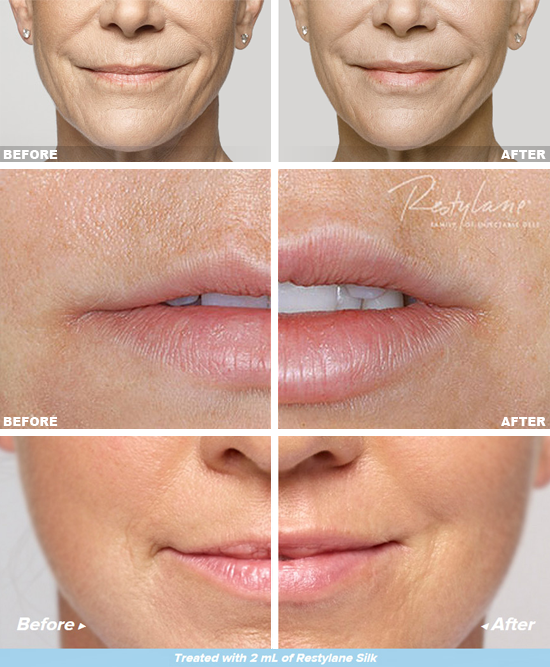 Restylane Silk® is designed specifically to provide natural-looking results in these particular areas by using smaller, smoother particles than those used in other Restylane® products. Ready to restore your smile and achieve your ideal lips? Call (205) 877-9773 to schedule your consultation. THE FIRST 10 TO CALL WILL RECEIVE A COMPLIMENTARY RESTYLANE SILK CONSULTATION AND $50 OFF A SYRINGE OF RESTYLANE SILK!